Chevrolet led off Detroit today with the world’s first clear look at the 2016 Volt. 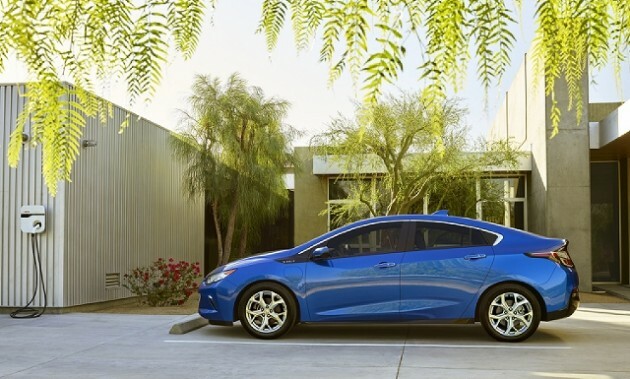 In addition to finally seeing the new-and-improved look of the Volt under the full bright lights of the COBO Center, we have the final word on its improved electric range, which climbs to 50 MPGe. 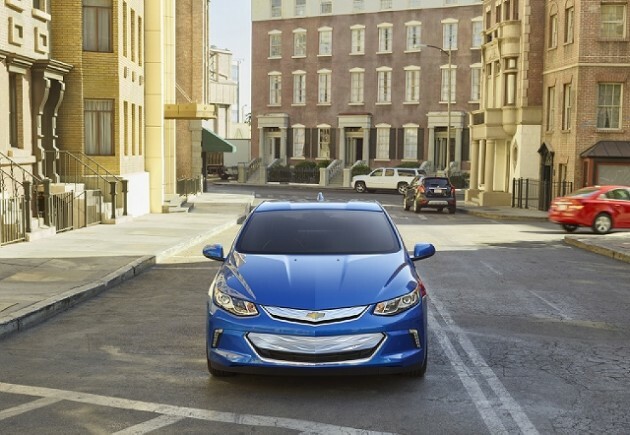 The 2016 Volt boasts a purported 400-mile driving range, which Chevrolet estimates will give drivers the ability to travel 1,000 miles between visits to the gas station. 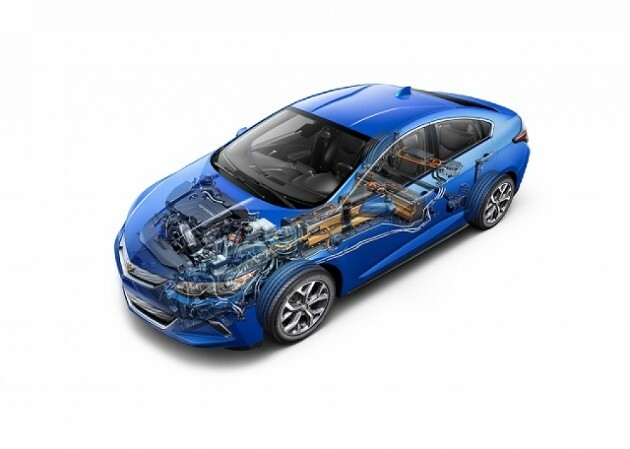 The powertrain features a 12% more efficient two-motor drive unit that allows for a 19% boost in acceleration and increased battery capacity. Both the two-motor drive unit and battery are significantly lighter than their previous-gen predecessors. Also new for the 2016 Volt is a 1.5-liter range extender that takes regular unleaded and offers what GM estimates to be efficiency of 41 mpg. 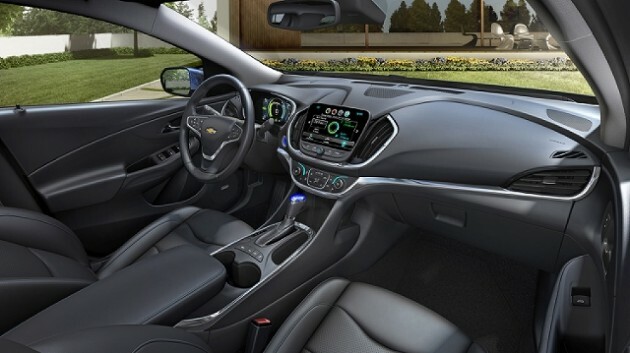 Additionally, the next-gen Volt gets five-passenger seating capacity that can be enhanced with blue ambient lighting and heated rear seating. The interior also benefits from a decluttered dash, which features fewer icons on an 8-inch diagonal touchscreen, and separate climate control knobs and buttons. Other new features include GPS location-based charging, which allows drivers to pre-set 120V charging levels and the option to schedule charges only for off-peak hours. Improved charged status indicators and an improved 120V portable cord will also make charging the Volt easier.